I totally agree! The hype made coloring more like just some trend they want to join in and not a hobby they're enjoying. I love coloring before too but growing up really changed our wants. I didn't want to join the trend too but because I got curious of their so-called stress relieving books, I tried it out. AND I ENJOYED IT. It is because I love colors and I love seeing a plain page come to life. This is a really great post to reflect on. Will be sharing this for sure. It really depends on your taste. I've been into the whole coloring thing and sometimes, even with the availability of the adult ones, I find myself yearning for the simple ones. I believe that what matters is that we love what we do, no matter how simple or complex it can be. :) Color away! Sorry, I disagree. How people perceive their colored pages is each to their own. Some people love to have a lot of coloring instruments, some are happy with a few. I think perhaps, you are stressing too much about people who are stressing too much. 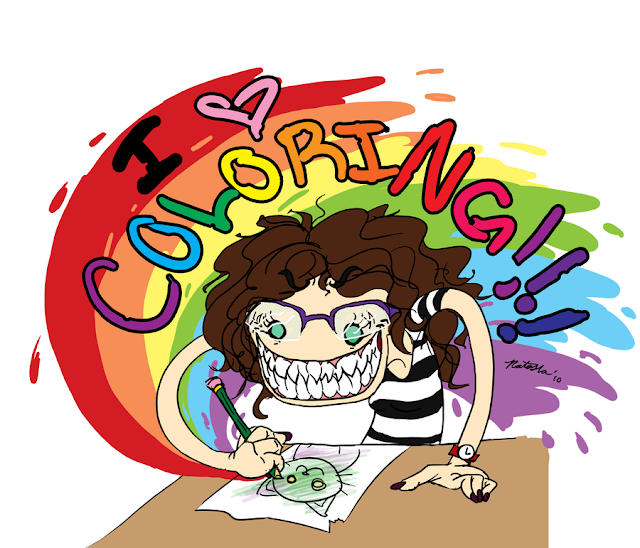 Relax, and go color instead of complaining about other people who color and their habits.